Happiness, tears, stress, sleepless nights, fun, planning, lots of love – obviously a wedding is in play right? I was one of those brides that truly loved planning my wedding right down to the goodie bags. Now looking back, the things I cherish most are the unique “moments” we put together to make our day personal and meaningful. 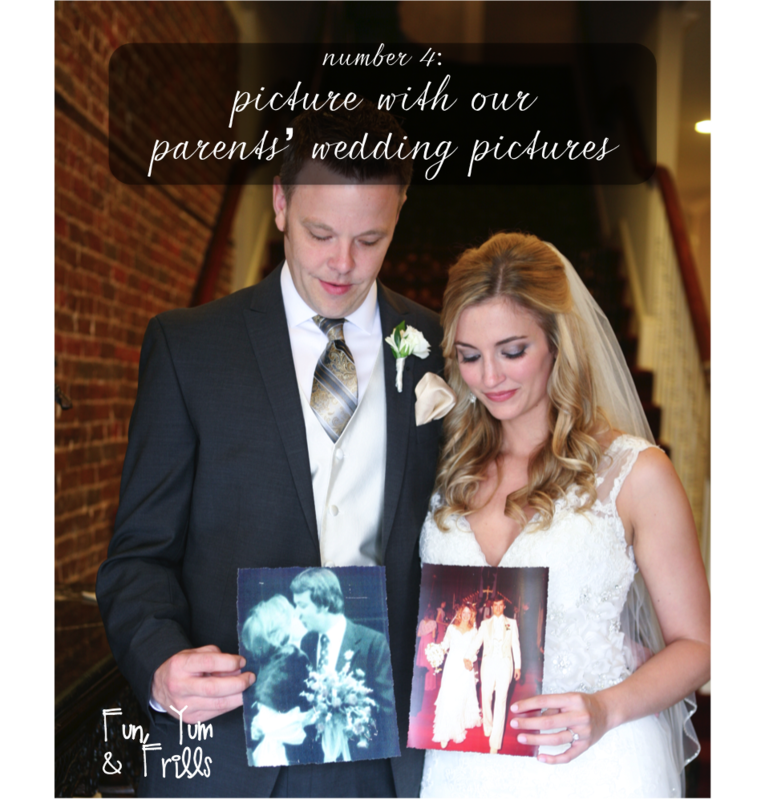 Even though these were done for my wedding, I wanted to share them as they can be done exactly as they are or adapted for any wedding. So, here are my top five (and yes, it was hard to choose!) unique and beautiful wedding moments. We have family and friends from all over…no seriously…all the way in Sweden! So, when it came time for hosting a bridal shower, I asked my Matron & Maid of Honor to do something a little different. “I want a recipe book of my friends and family’s favorite dishes,” I said. So they went to work and created my favorite recipe book ever. They presented it to me on my wedding day and it literally made me cry and salivate at the same time. 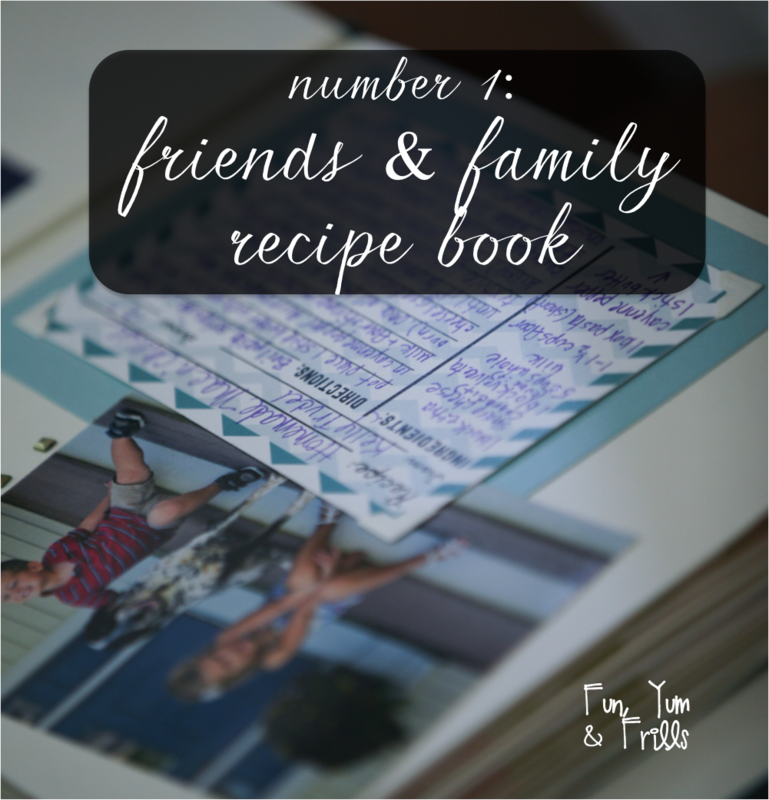 My husband and I’s favorite recipes are in this book – made so much more special by those who made them first. Both my husband and I are extremely close to our parents and they are both still happily married. Because we both admire and look up to our parents for different reasons, it was important to us to honor them in some way at our ceremony. After all – we wouldn’t be the people we are and therefore love each other the way we do without them. 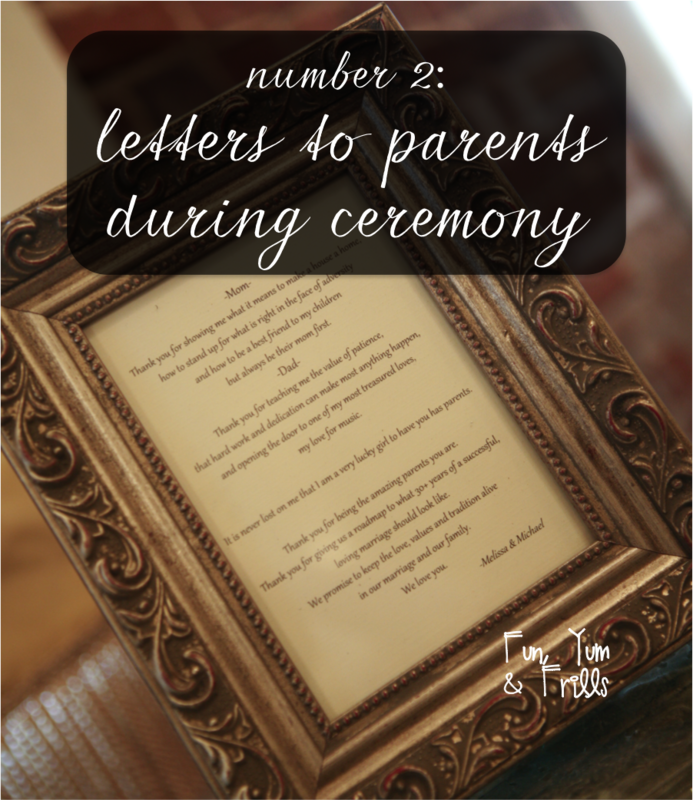 So, we decided to each write a letter, in a similar format, to our parents – each thanking them individually for who they helped us become and how they demonstrated what a beautiful marriage looked like. These were framed and sitting at the altar so when the time came, we took turns reading each stanza and then the last together. Not a dry eye in the house as I’m sure you can imagine. This one is most likely my FAVORITE and the thing I recommend to anyone and everyone as soon as they are engaged. 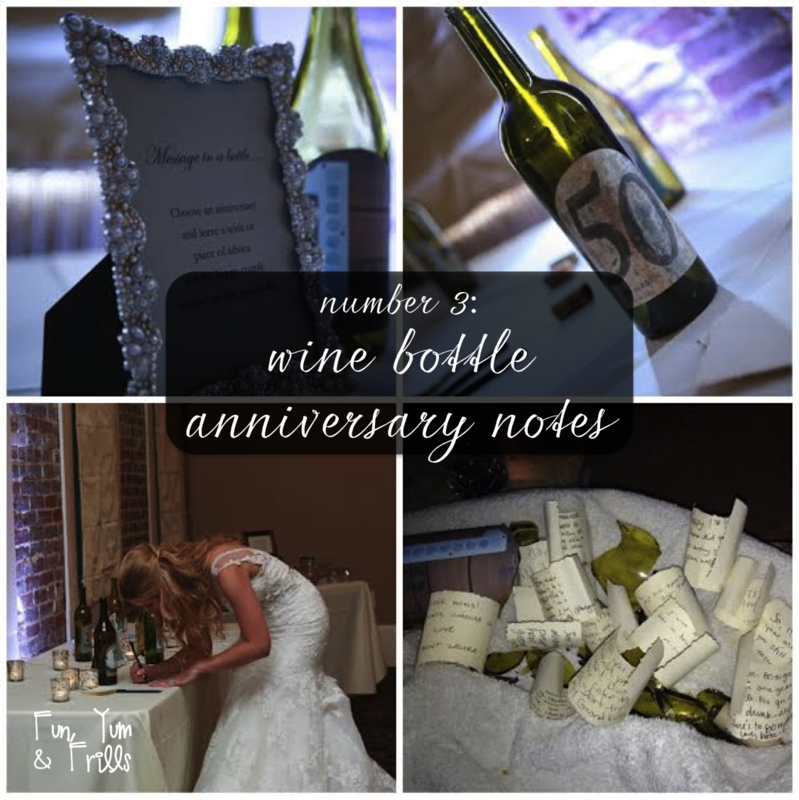 As you see from the first picture in the slideshow above, we asked our guests to write notes and words of advice that they then placed in the wine bottle for the corresponding anniversary. Bottles ranged from 1 year up to 50 years and were so easy to make. Opening our first wine bottle on our anniversary last summer was our favorite part of the day and we are so looking forward to the next one at our 5th! Make your own: soak the wine bottles (I tried to get different shapes & colors) in the tub with warm water and soap for about an hour. The labels easily came off after that. Then, what I did was buy some Avery labels and designed them by using their online studio (as seen on the package). You can download my designs at the bottom! My mom had this done for my sister’s wedding and I thought it was a beautiful and timeless idea. There are an insane number of pictures of me in my wedding dress but this is truly unique and now hanging in my bedroom. We were lucky in that one of my best friends is an incredible artist and focused in costume design in college. 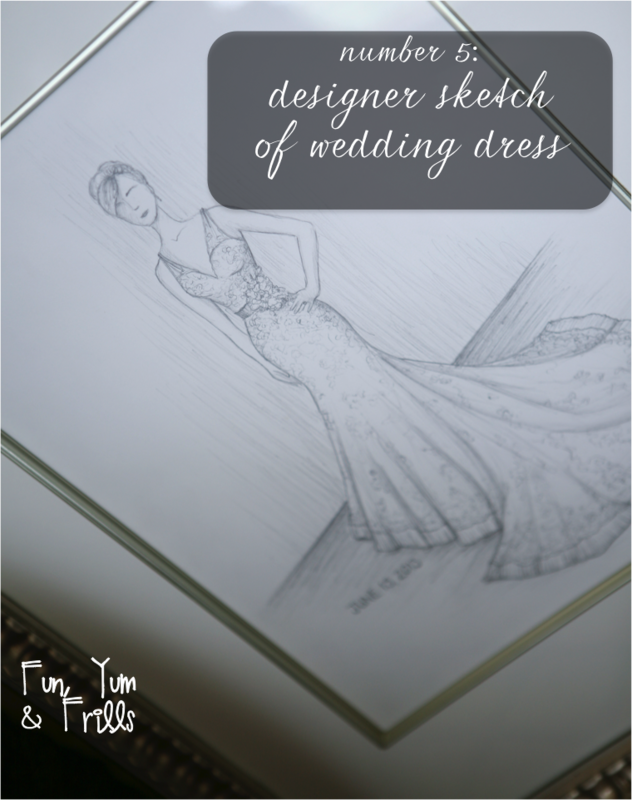 We sent her pictures of my wedding dress and she did a designer sketch of it. No doubt that this will be a family heirloom. If you don’t know of an artist, check out Etsy and possibly your local college’s art program – they may have some talented students willing to do some freelance.